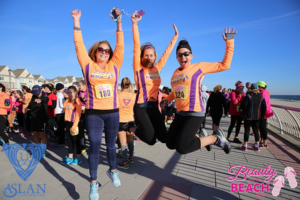 Welcome to the 2017 Beauty and the Beach Run™ Ambassador Program! Hey Beauty! We know you love this race. We do, too. And running is always more fun with girlfriends! So we created this Ambassador program so you can encourage your friends to run and support a race that you love. The best part? You do what you already do and that’s chat up our race. You already talk about and write about running/walking this race anyway, so why not. get some perks for doing what you love! 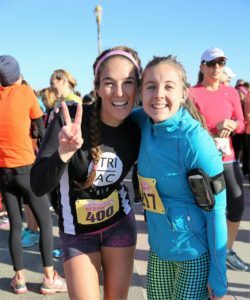 You know you love the unique feeling of comradery of this race, the warm feeling of supporting other women, the cool SWAG, AND the pleasure of supporting disadvantaged youth through the work of a special charity (Aslan Youth Ministries), etc. Whatever it is that keeps you coming back, we hope that you will share that with every beauty you come in contact with and reach out to others who might also be interested. We believe that the best way to encourage new Beauties to join, in supporting each other and Aslan Youth Ministries, is done at the grass roots level, and that means having knowledgeable ambassadors like YOU at events, as well as continuously using their contacts and social media channels, throughout the region. You will be FIRST in getting new information regarding the race and give your friends a sneak peek at the happenings behind the scene. Who doesn’t love to be an insider?! So, want to become a member of a select group who will quickly become the voice of Beauty and the BeachTM throughout the region? If so, please check out the program details below and if you want to become part of this dynamic group we invite you to fill out the application which follows the program details. Candidates must have participated in at least 1 Beauty and the Beach RunTM (BatBR) in the past 4 years. Candidates must be committed to promoting Aslan Youth Ministries and its related event, the Beauty and the Beach Run™, throughout the BatBR Recruitment period which, includes distributing flyers at races, to appropriate local businesses and groups, posting on social media pages (1x per week), writing one guest post for the BatBR Blog and answering questions about the BatBR when prompted among your own running community. Candidates must be available to help organize and participate in BatBR related events in their area (training runs, social get-togethers, etc. ), volunteer for shifts at other expo events, or race week pre-race shifts (packet pick-up, bag stuffing, etc.). (Should be able to commit to 2 volunteer shifts as they become available). Candidate must commit to participation in the BatBR event and write a review about their experience during the event on their social media channels and the BatBR blog. A registration link and unique code will be given to each Ambassador. A point system will reward ambassadors with points based on how many registrations occur using their private link/code (see below for details). Access to the BatBR Ambassador Group page: where ambassadors can share insider information about Aslan, the BatBR, ideas for promotion, training tips and more! Write in your blog, on your social media pages and emails, text, etc., about Aslan Youth Ministries and the BatBR and use the hashtag #beautybeachrun, instruct your followers to use your private link/code when they register and to mention during their registration that they heard about Aslan and/or the BatBR through you. Earn incentives as more runners register because they heard about the race from you! Please note that registrations made without using your private link/code will not be counted. However, you may advise up to three beauties each year, who did not register using your special link/code that their registrations can be credited to you after the fact. 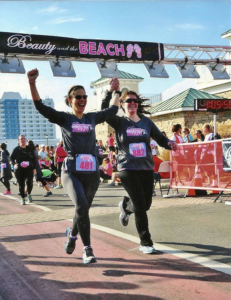 They must send an email to: info@beautyandthebeachrun.com with your: name, email address, private link/code and that they must let us know that they were inspired to register for the BatBR by you. We must receive their message no later than 10/13/17. One point will be awarded for each regular registration completed which is credited to your code in our automated, on-line tracking system by 10/14/17. Three points will be awarded for each fundraiser registration completed which is credited to your code in our on-line, automated, tracking system which has raised the $100 minimum by 10/14/16. Five Points: Free access to the Ambassador Profile section/page on the BatBR Website which may include a link to your personal website, blog, or social media pages. Ten Points: Benefits of 5 Points, plus: additional perks, as they become available, throughout the BatBR recruitment season. Fifteen Points: Benefits of 10 Points, plus: Access to VIP Pre-Race Reception, and VIP Race Day tent! Twenty Points ++: For registrations over 20, ambassadors will receive all previously mentioned benefits and have an additional opportunity to make $2.50 cash back per each BatBR Registration, up to $250.00. Above 100 registrations? Let’s talk!